Some restrictions apply. See dealer for complete details. With approved credit. Does your car need service, but you don’t want to spend too much? 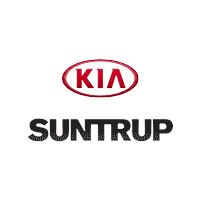 Turn to the Suntrup Kia South service department. Our rotating selection of brake service coupons, oil change coupons, and more, means you’ll always be getting a great deal on vehicle service. Browse our current service specials, and head over to Suntrup Kia South, not far from Mehlville, to get all your vehicle service needs. Most vehicles. European makes and models extra. Specialty oils and diesels higher. Includes 5 quarts oil and factory oil filter. Tax, supplies, and environmental fees extra. Restrictions may apply. Must present coupon at time of service write-up. May not be combined with other discounts or coupons. May not be used on previous purchases. See dealer for details. Includes 5 quarts oil. Available on most vehicles. Tax, supplies, and environmental fees extra. Restrictions may apply. Must present coupon at time of service write-up. May not be combined with other discounts or coupons. May not be used on previous purchases. See dealer for details. Plus tax. Most vehicles. Prices vary by model. Restrictions may apply. Must present coupon at time of service write-up. May not be combined with other coupons or discounts. May not be used on previous purchases. See dealer for details. Most vehicles. Restrictions may apply. Must present coupon at time of service write-up. May not be combined with other coupons or discounts. May not be used on previous purchases. See dealer for details. Restrictions may apply. Must present coupon at time of service write-up. May not be combined with other coupons or discounts. May not be used on previous purchases. See dealer for details. Valid with any repair or service of $300 or more. One day only. Applies to same day service. Subject to availability. We won’t be beat on prices. If you have any questions or concerns about vehicle service, please contact us today. Ready for vehicle service? Use our online service scheduler to make your appointment today!